Just a heads up to all you monster lovers out there, the brand new film FRANKENSTEIN’S ARMY is now on VOD before it hits the theaters! Chock full of some amazing creatures and effects, this film purports to show lost footage of a crazed German scientist making a band of crazy looking monsters during WWII! 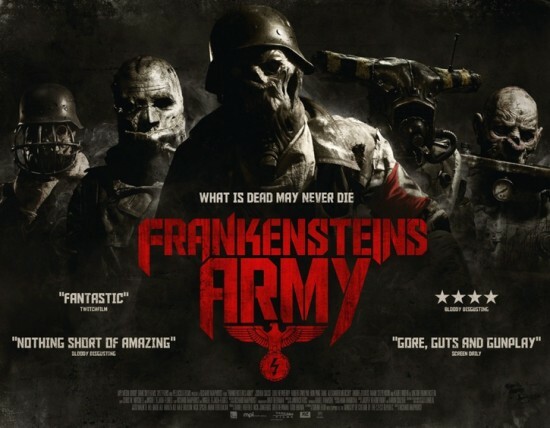 Check out the amazing trailer HERE and Download Frankenstein’s Army on VOD HERE! This entry was posted in cult films, found footage horror films, horror comedy, horror comics, horror dramas, indy horror, Low Budget Horror Films and tagged download frankensteins army, frankensteins army, frankensteins army vod. Bookmark the permalink.